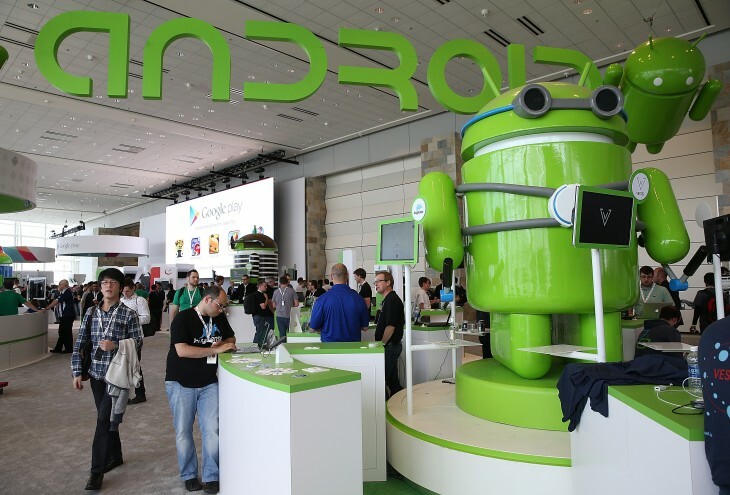 Google has revealed the name of its latest Android mobile operating system and for some, it might sound a bit…strange. In a Google+ post, the company’s head of Chrome and Android, Sundar Pinchai gave people the impression that the next version will be called Kit Kat. This may not be likely and just a tease because as we all know, Kit Kat is a brand owned by Nestle. As it turns out, Google has formed a partnership with Nestle, which, in a way follows the company’s naming conventions to follow desserts: Cupcake, Donut, Eclair, Froyo, Gingerbread, Honeycomb, Ice Cream Sandwich, and Jelly Bean. Kit Kat = chocolate = dessert. Get it? It wouldn’t be surprising though if there were actual bets being placed on it actually being named Key Lime Pie. According to the BBC, no money has been exchanged between the two companies, although the long-term investment will probably pay dividends to both Nestle and Google. 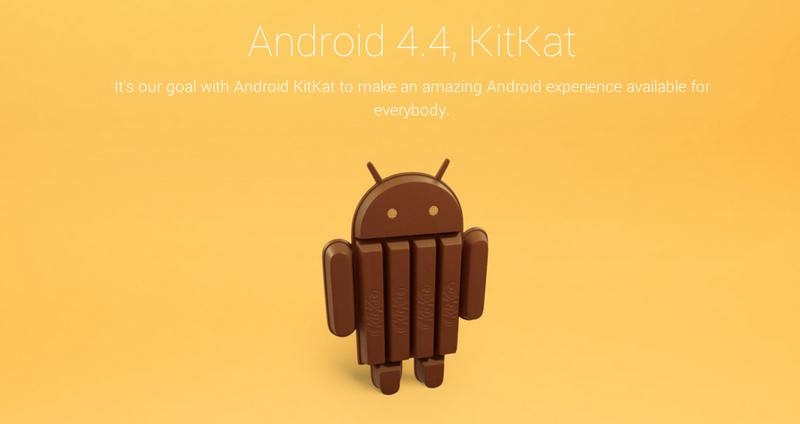 Android + Kit Kat = Give me a break? By going the route of naming it after a popular chocolate-covered wafer bar, Google has formed a unique partnership and something that will certainly benefit Nestle for years to come. Now, when everyone talks about the latest version of Android, it will become synonymous with KitKat. And will it also be tied into the world-famous jingle? Nestle wanted to have this partnership because it hoped to better leverage its digital technology and content to help it better connect with consumers. Not surprisingly, both companies are interested in better understanding and catering to their user preferences. In honor of this occasion, Google and Hershey Chocolates, which owns the licensing rights in the US from Nestle, are holding a Willy Wonka-style contest whereby a few Kit Kat bars contain a lucky ticket to win the Nexus 7 tablet or Google Play credits. Those interested in participating will need to go to their supermarket to buy a chocolate bar to see if they’ve won. Nestle says that there will be 50 million specially branded Kit Kat bars sold in 19 markets, including Australia, Brazil, Canada, Germany, India, Japan, Middle East, Russia, the UK, and the US. One other thing to note about today’s news is that Android has now been activated on more than 1 billion devices. This news comes several months after Pinchai announced at Google’s I/O developer conference that 900 million Android activations were made. Not much else has been revealed about what Kit Kat is going to offer smartphone owners and the timing of when it will become available is unknown. But should we be surprised? How many phones now come equipped with the latest operating system? There have been complaints from some that find Android updates to be slow. But do the facts support the claims? 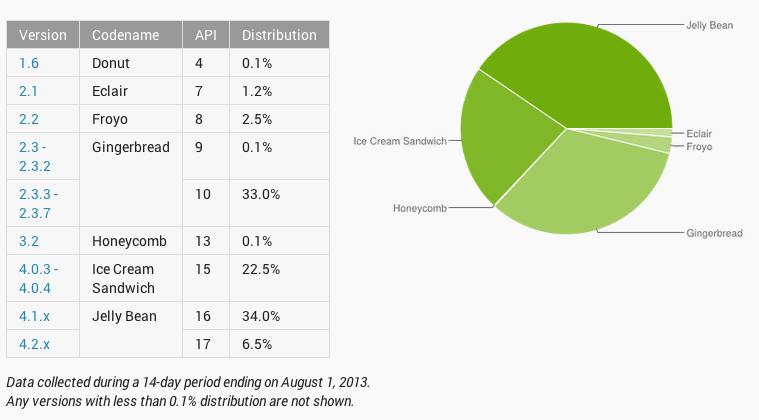 Android’s developer dashboard shows that a majority of Android instances are using Ice Cream Sandwich or Jelly Bean, the two most recent versions.